Tour de CLARIN highlights prominent User Involvement (UI) activities of a particular CLARIN national consortium. 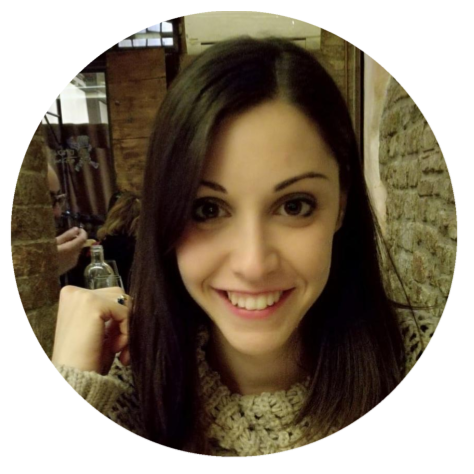 This time the focus is on Italy and Beatrice Nava, a PhD student who uses digital methodologies in Classical Studies. The interview was conducted via e-mail. 1. Please describe your research background. I have a bachelor’s degree in Greek Philology and a master’s degree in Modern Philology. I have always been interested in text reconstruction and chose philology because I believe it is a crucial starting point for critical research of texts and the cultural contexts in which they are produced. My first hands-on experience in Digital Humanities was on the modelling of metadata of literary sources, which was made possible through a GARR grant (2017-2018). I am currently pursuing a PhD in Literary and Philological Cultures at the University of Bologna, where I am preparing a critical edition (i.e., a scholarly edition that includes a “critical apparatus” – annotations on the primary source material of a text) of a tragedy written by the famous Italian Romantic poet Manzoni and developing a model for digitizing the critical edition of the tragedy. I am also collaborating on a project funded by the Italian Ministry of Education, Universities and Research which aims to create a web portal dedicated to Manzoni. My principal role in this project is the digitization of Manzoni’s works using XML/TEI encoding. Additionally, I am using the same approach in the DEA project that focuses on Greek philology. 2. How has getting to know CLARIN influenced your research directions? CLARIN was the starting point for my interest in Digital Humanities and has made the opportunity to work in this field more realistic. It has motivated me to apply for a GARR grant with a proposal to model metadata for the description of Alessandro Manzoni’s manuscripts, which became the basis of my PhD project. More recently, due to my involvement in the DEA project, my collaboration with CLARIN-IT has intensified. It has provided me with new research directions and interest in computational linguistics, and has shown me how Digital Humanities can facilitate a transversal and interdisciplinary approach to different fields. In particular, I think that CLARIN-IT’s focus on Digital Classics has encouraged my methodological transition from traditional to digital philology. 3. Please describe the DEA project. How is it involved with CLARIN-IT? DEA, which stands for Digital Edition of Archilochus: New models and tools for authoring, editing and indexing an ancient Greek fragmentary author, is a project led by principal investigator Anika Nicolosi (University of Parma) done in collaboration with ILC-CNR of Pisa and CLARIN-IT. The goal of the project is to create a complete digital edition of the fragments by the Greek lyric poet Archilochus. We have around 300 fragmentary poems by this important author who lived in the 7th century BC and who was closely related to Homer. However, a complete critical edition of his works is still lacking. In fact, some fragments have only recently been published, so they are not yet included in the most widely used editions. The main objective of the project is to provide scientifically reliable texts, with critical apparatuses, commentaries and translations, and to make available an online and easily accessible augmented corpus of ancient Greek fragmentary literature. DEA can be regarded as a case study in the framework of CLARIN-IT and its interests in the specialization towards the Digital Classics. ILC4CLARIN offers the corpus in their repository, along with other existing digitized resources for Ancient Greek (e.g. a Linked Open Data (LOD) version of the TEI-dict Perseus Liddell-Scott Jones Greek-English dictionary). This allows us to enrich our corpus with lexical datasets in LOD and integrate our data with other existing resources, with the final aim of obtaining a complete edition that is useful not only for scholars interested in Classical and Ancient Studies but also for non-specialist users. 4. Why is the Digital Humanities approach important for classical philology? What kind of new research avenues does it open in the relatively traditional field? The application of language technologies and methodologies to solve research questions in Classical Philology is very important in relation to the structural potential of the digital medium. For example, just to mention one of the well-known but essential aspects, which is the option of organizing, storing and managing a substantial amount of data. In our case, we can easily manage and store all the hypotheses of previous editors and the additional useful information linked to the edition in a single place. Therefore, by providing an edition that is richer and much more complete than a paper-based one, it is possible to facilitate new philological studies. In fact, offering all the interpretations of previous editors through a single resource, with the addition of new hypotheses formed by studying the whole corpus of fragments, reopens the debate on some critical points. What is also important is that the digital medium aids scholars to efficiently exchange their ideas and results, as well as accelerates the response to new interventions into the text. In addition, linguistic annotation allows the development of new teaching methods of Ancient Greek that are aimed at beginners and include the use of language services such as treebanks and tools like TüNDRA adapted for classics. The annotations also enable an interactive approach to texts that is more inviting and accessible to students. In addition to making data accessible and interoperable, NLP approaches facilitate and allow for a systematic production of fragment-specific lexica. In our case, having an annotated corpus allows us to develop linguistic services for teaching (e.g., Hyper-Text Archilochus, which is a prototype that provides the learner with a set of resources and tools that ease a critical assessment of ancient texts). It also acts as a stable and immutable sample for automatic translation experiments. 5. What are the challenges of digitizing and applying NLP techniques to Ancient Greek poetry? How does fragmentary poetry differ from other literary texts and what does this entail for its processing? Fragmentary ancient Greek poetry is very different from other literary texts. In fact, its tradition is more complex since it has different kinds of sources (manuscripts, papyrus, epigraphy) with variants and substantial lacunae (i.e., missing parts in a text). Applying NLP techniques to a fragmented tradition, which is complex and has many parts missing, can be particularly challenging because gaps in the text call for multiple options for its reconstruction. Automatic linguistic analyses of the whole corpus not only support new readings and interpretations, but also leads us to greater certainty as regards text corrections, integrations and authorship. 6. Which tools would you like to see CLARIN Italy develop next that would help researchers interested in classical philology? I would mostly like to see CLARIN-IT introduce in its repositories an integrated online environment that would support the proof-reading, encoding and enrichment of classical texts. I would also like to see CLARIN-IT experts draft precise guidelines or propose a paradigmatic schema on how to provide metadata specific to digital classics, such as the physical description of the source (papyrus, epigraph, manuscript,) information on the origin, history, publication, and so on. We also need to provide the concordances of different editions of the same text, with correspondences to the fragments that have a different identification number in each edition. Moreover, I would like to see CLARIN-IT develop tools tailored to non-computational researchers that would help them perform linguistic and textual annotation (morpho-syntactic, semantic, etc.) without requiring them to possess a great deal of technical know-how. In addition, improving the performance of the existing parsers for Ancient Greek on fragmentary texts would offer very important upgrades for the study and teaching of Ancient Greek. 7. You have recently visited CLARIN-DK experts on the CLARIN Mobility Grant. How was your research visit beneficial for your work? What knowledge and expertise did you gain from CLARIN-DK experts? At the Centre for Language Technology (Department of Nordic Studies and Linguistics, University of Copenhagen) I was given advice on how to better encode the different kinds of sources in which the digital classics are attested. Aside from the practical skills developed during my research stay, I found it inspiring to meet professors and researchers with different backgrounds and research objectives. Before my visit, I had mainly focused on the XML/TEI encoding, but my research stay allowed me to turn my attention to automatic linguistic analysis. I also gained a better understanding of existing tools and the potential of the CLARIN infrastructure as a network of not only language technologies but also invaluable expertise. 8. Would you like to continue collaborating with CLARIN-IT after you finish your PhD? Do you have any wishes or plans already? Yes, of course, I would like to continue working on the DEA project until the new edition of Archilochus’ fragments is completed. I believe that further collaboration could improve my research methodology and allow me to gain better skills in applying linguistic analysis tools to my future research in Philological and Literary Studies. Moreover, I think greater availability of post-PhD research grants, also on a national level, would be useful, as it would support research and, at the same time, aid the development of the national consortium in specific fields of knowledge. In the CLARIN-IT repositories, there currently aren’t many classical texts and resources, so I think that my philological knowledge in combination with my digital skills could make valuable contributions in this direction.